Angela King was once a member of several extreme far-right groups in South Florida. After a stint in prison, she turned her back on her former life. Today, she helps people leave hate groups. For many Americans, the sight of people carrying torches and chanting hate-filled slogans was a terrifying image that won’t soon be forgotten. And they might ask themselves what kind of people join such groups. “People don't naturally hate other human beings. It's not inherent in our DNA," says Angela King. Forty-three-year-old King has seen the worst kinds of hate firsthand. She still has the words "Sieg Heil” – the Nazi salute – tattooed on the inside of her bottom lip. Swastikas and other white supremacist symbols inked on her hands, arms, back and chest are now covered up with positive-message tattoos. There are others she’s tried to erase through laser removal. King spent eight years of her youth in a South Florida hate group and could very well have ended up one of those torch-carrying neo-Nazis marching in Charlottesvillte, were it not for an arrest and a subsequent prison encounter that turned her life around. Today, King is the co-founder of a non-profit that assists people in leaving hate groups. King, who now lives in Central Florida, grew up in several cities throughout Broward County. She says her parents were strict and tried to shelter her from bad things. And in her parents' view, minorities and homosexuality were bad. “My mom had many sayings when I was a child. And one of them effectively was 'You're my daughter. I will always love you. There's nothing you can do to make me love you less. Except – never bring home a black person or another woman.’"
Her mom and dad's divorce was messy and as a youngster, she often felt isolated and misunderstood. 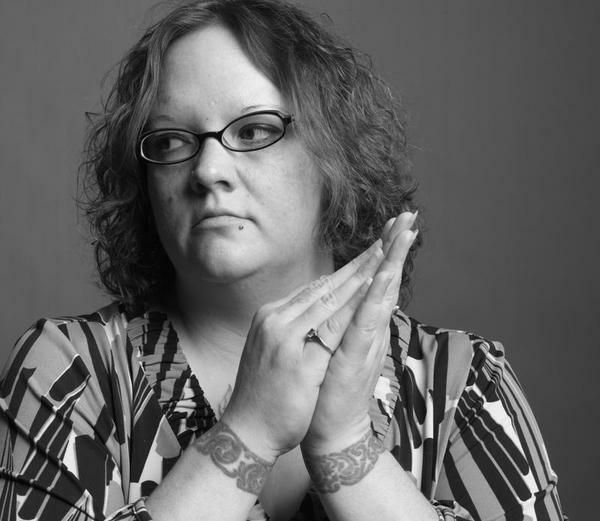 She was overweight, which made her a target for bullies. One day, after facing down one of her tormentors, she felt empowered for the first time in her life. But her newfound strength found an outlet in bullying other kids. "It almost became addicting. I would be argumentative and start fights and pick on people. Strangely, most of the violent altercations I was involved in were with other white people and not with all the other groups I claimed to hate so much," she said. But that didn't matter to the white supremacists she hooked up with by this time. They welcomed her anger –no questions asked. Before long, King adopted their views about the need to spark a race war. Within the group, she was expected to indoctrinate other people – and since social media was nowhere near as prevalent as it is now, that had to be done with printed propaganda and by word of mouth. By this time, King had known for a while that she was attracted to other girls, but she didn't dare tell anyone in the group, fearing their reaction. "No one in the group knew really anything about my sexual identity. I kept it to myself. It was something I tried to bury in the back of my mind. And I tried to run from myself as far as I could possibly get." WLRN's Christine DiMattei interviews Angela King, a former South Florida neo-Nazi who now dedicates her life to helping people leave hate groups. At age 23, King ran headlong into major trouble when she and other members of the skinhead group were arrested for the robbery of a Jewish business owner. She was sentenced to six years in prison. And suddenly, she found herself thrown in with women belonging to the very groups she and her friends actively hated so much. "The fear started to creep in! Uh-oh, if I'm gonna actually do time, how am I gonna do time being who I am? I don't have my friends anymore. I don't have backup anymore if there's a fight. Or protection. I'm on my own. So, initially, the thought was I was going to spend whatever time I DID serve with my back against the wall, constantly looking over my shoulder waiting to be attacked for who I was." Then, one day, King saw a black woman staring intently at her in the recreation yard. The woman walked toward her and asked her if she knew how to play cribbage. “My reaction was, essentially, 'What the f_ _ k is cribbage?,” she recounts, with a laugh. The woman brought over the cards and board and taught king how to play. She was Jamaican and pretty soon King found herself befriended by an entire group of Caribbean women – and given understanding where she least expected to find it. "They completely disarmed me with kindness and compassion. My beliefs and my aggression were so abrasive and so ugly, not many people had it within themselves to show me kindness and compassion." But they also inspired King to do some serious thinking about the attitudes that landed her in prison. The women confronted her with questions aimed at breaking through the racist rhetoric she learned from the skinheads. “Things like: ‘Would you have called me these names, these racial slurs? And would you have tried to kill me?’ Those are the kind of conversations that one can't just get up and walk away from in a prison setting." King says those discussions started her on a path that would change her life. 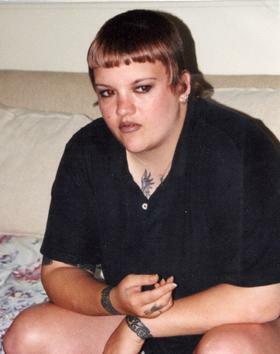 She got out of prison early on good behavior and a promise to cooperate with authorities and testify against other skinheads in her old group. Within months of her release, she enrolled in college and earned three degrees, practically back to back. Today, King is co-founder and programs director for Life After Hate, a non-profit for reformed extremists. The organization runs support groups for people looking to leave hate groups. "To any confused young person who is finding acceptance in one of these groups right now, my message is a simple one: I understand. I have been there. I've been through it. If you need to talk, I'm here to listen without judgment. You're not alone."